The ancient Roman Empire was one of the most powerful Empires in the ancient world history. The Roman Empire Weapons, as well as the war tactics used by the ancient Roman military, were held in awe by other neighboring countries at that time. The ancient Roman army used superior and sophisticated weapons coupled with impressive war strategies and tactics, because of which the ancient Rome military regime became invincible for a period of time. The prominent and primary ancient Roman weapons used by the ancient Roman legionaries were a spear and a sword. However, other weapons were also used. Gladius was the ancient Roman sword. 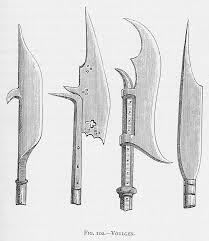 It was a short weapon about 18-24 inch long having a wide blade and slightly curved in shape and used in mortal combat as a thrusting weapon. However, the sword evolved as a weapon over the expansion of time. It came in newer and different designs. Then there were helmets called Cassis. Helmets were head gears used by the ancient Roman soldiers to protect their heads, faces, and the necks. They were made of copper or iron or an alloy. In Roman terms, Lorica Segmentata was the body armor made of a combination of two materials, namely, leather and iron. The ancient Roman soldiers wore it as a tunic to protect their limbs. The ancient Roman shield was called Scutum which was oval, hexagonal or rectangular in shape. It was made of very thick wood and was bordered with iron or copper strip around the periphery of the shield. It was used in close combat. Another ancient weapon of Rome was a dagger. A dagger contained an elaborately decorated sheath. The sheath of the dagger was studded with precious stones. The blade of the dagger was ridged to impart stiffness and lightness. A dagger was composed of either alloy of copper or iron. 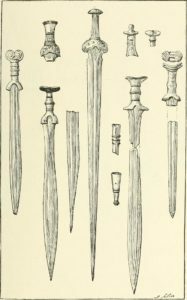 The ancient Roman soldiers basically used three kinds of spears. They were thrusting spears, light javelins, and two-handed lances. A spear was a conical metal head fixed to a pole. The pole was made from wood mainly ash or hazel. Pilum was an ancient Roman weapon which was used as a short-range shock weapon. It resembled a heavy javelin possessing a pyramidal head on a long iron shank mounted on top of a long iron shaft. 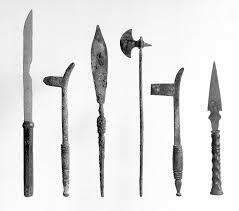 The ancient Romans had a broad array of defense and offense weapons that helped them in war tactics. Most of the ancient Roman Empire Weapons were superior to their contemporaries.